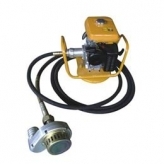 This 3"DR-SP80 Hydraulic Submersible Water Pump with Robin Ey-20 Gasoline Enginepump are mini centrifugal pumps of single type. It is widely used for pumping and draining in construction building sites, tunnels culverts, water reservoir also for wastewater discharging, industry, Irrigation on farm land and so on. 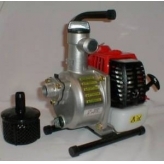 It is driven by diesel engines and gasoline engines. 1. 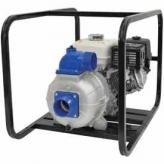 Powered by original kipor 170F4 Stroke /1 cylinder Engine, the strong and light weight die-casting aluminum pumps delivers 1200lpm high volume of water. 30 mtr head. 2.The highly effective mechanical seal with special carbon ceramics provide extra durability. 3. Guaranteed suction head of 8m. 4. Widely use fire-fighting, sprinking, irrigation, washing etc.